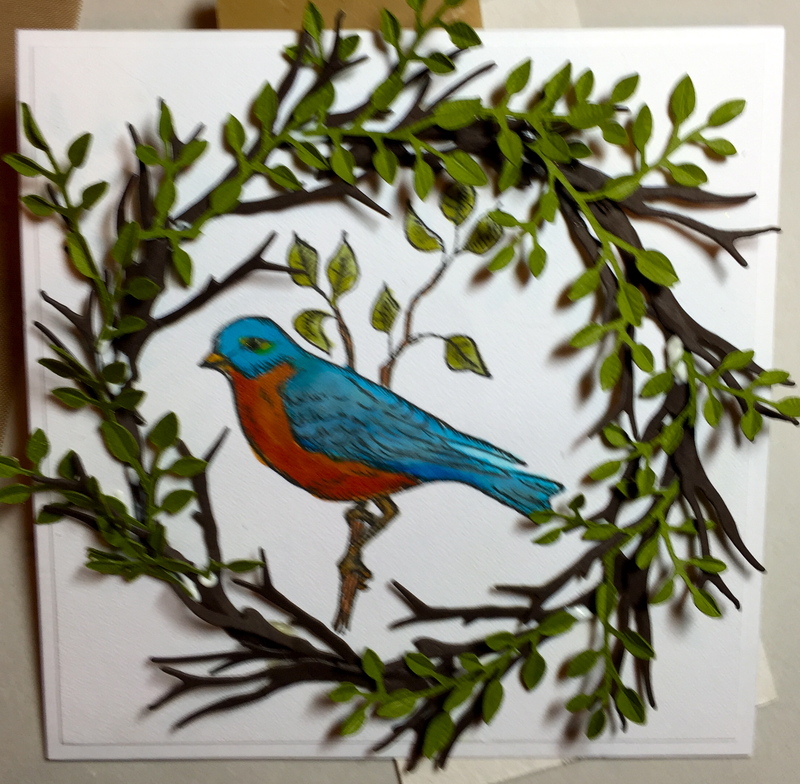 From 100lb cardstock, cut a 5 1/2” square card; I used white, but you can use your favorite color. Then, cut a 5 1/4” square panel. 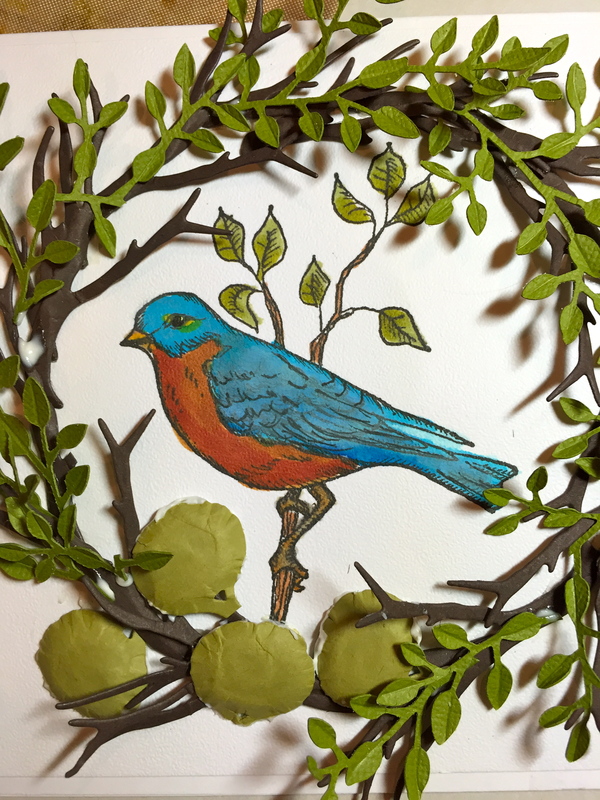 Center a 3 3/4” circle and lightly draw around it with a pencil to create the template and stamp the Blue Bird inside. Color the bird using Copic markers. Use the tweezers to pinch the ends of the branches to give them dimension. Lightly dip the ends into the glue and adhere to the panel, following the pencil circle you made. Die cut 3 Leafy Branches in medium green. Cut apart and place the pieces on the Leaf Pad. Use the Leaf Tool to add a stem line down the center for dimension. Lightly dip the stem end of the leaf pieces into glue and tuck around the branches. Die cut Garden Notes Hydrangea; 4 flower base pieces in 100lb light green cardstock and 4 flower base pieces in a 80lb dark green cardstock. Cut the stems from the “dome” part and place pieces on the molding pad. With the right-side-down, use the medium ball stylus to shape these pieces. Use tweezers to hold the light green base piece and using a toothpick, spread glue around the perimeter of the dome. Adhere to the wreath. First, adhere all the light green pieces, then, repeat these steps and adhere the dark green over them. 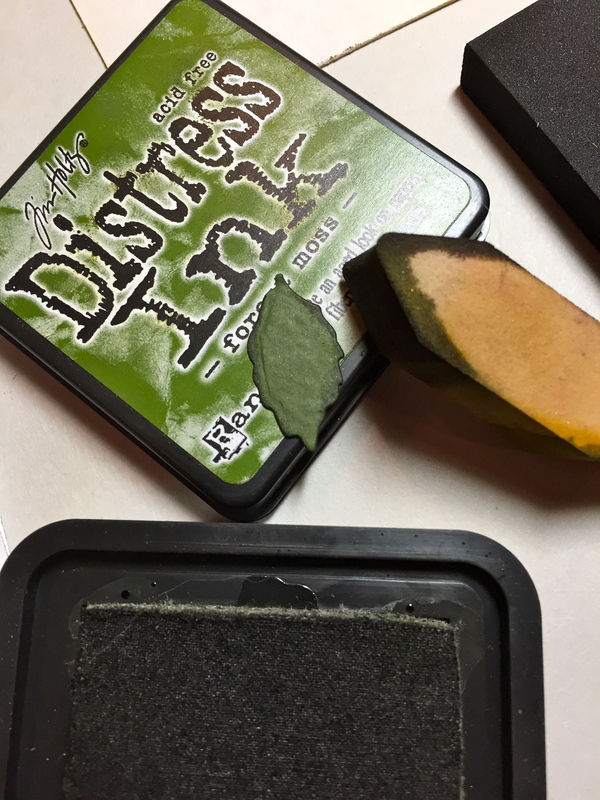 Leaves–For shading, I use Distress Ink along the edges. 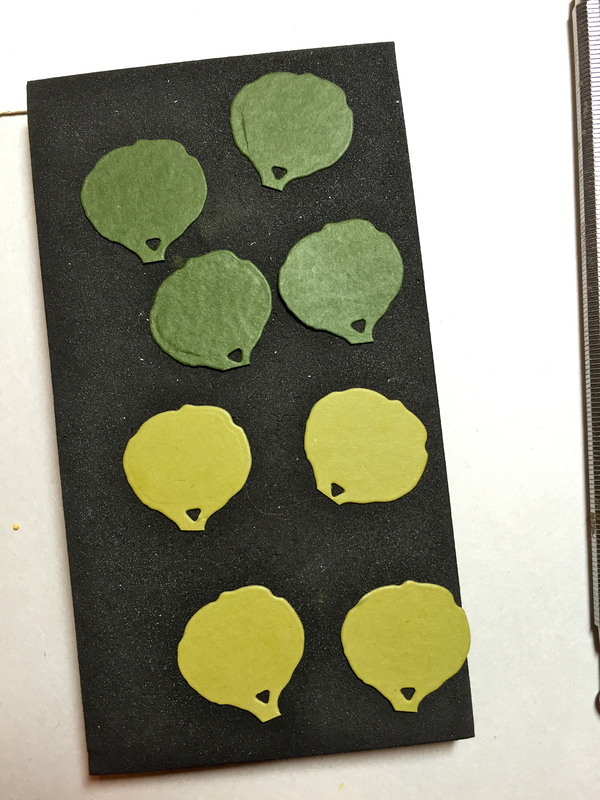 Then, I place the leaf on the Leaf Pad, use the Leaf Tool to stem and vein it. 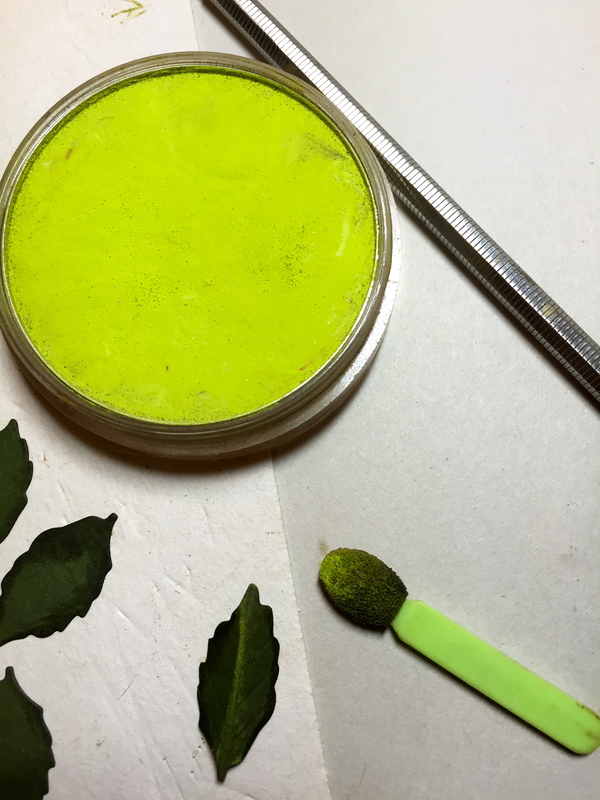 Shade the center stem with PanPastel Set 1/Bright Yellow Green. 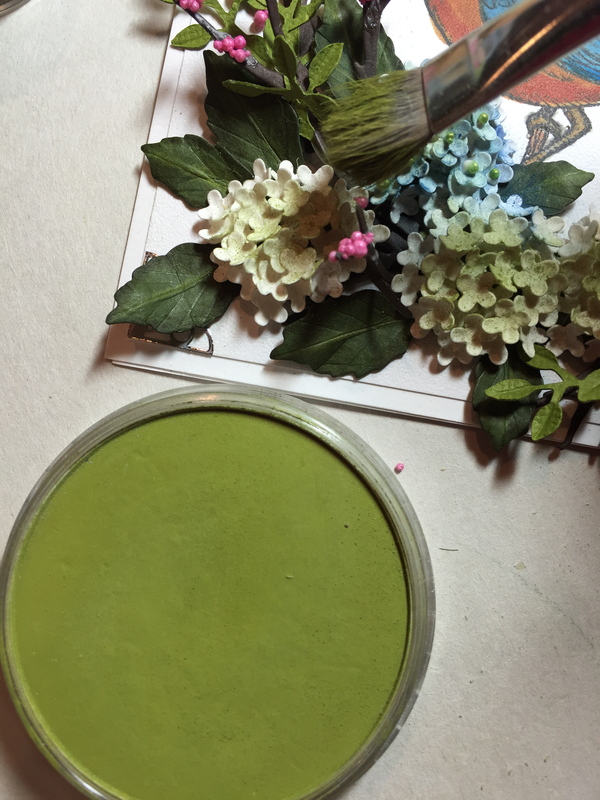 Finally, pinch the stem end and while holding the pinch, place the leaf, right side down on the molding pad and use the medium ball stylus to crimp the outer edge. Adhere leaves to the wreath. Petals–Die cut two sets of petals per flower base in ivory cardstock (I used Elizabeth Craft Designs’ watercolor paper). Place on a gum eraser and use the small ball stylus to cup the pieces. 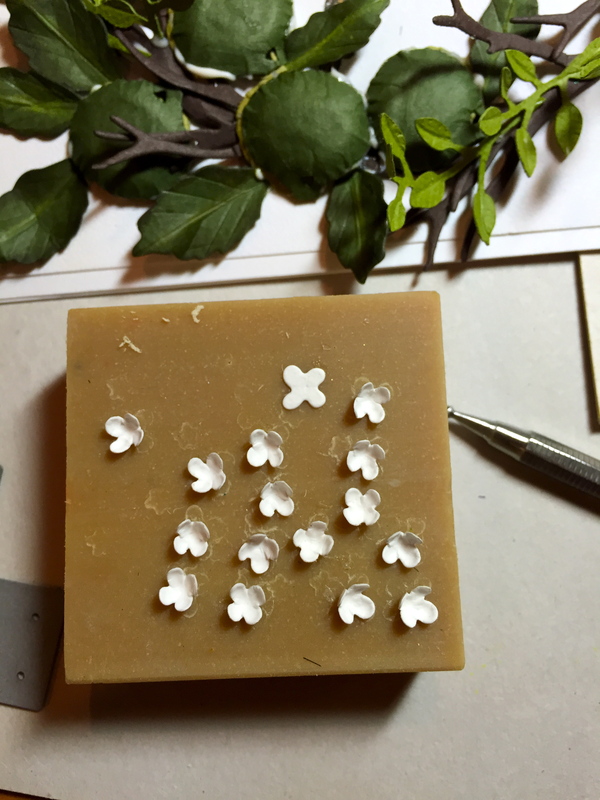 Use tiny tweezers to pick up the shaped pieces, lightly dip into glue, then adhere to the flower domes. 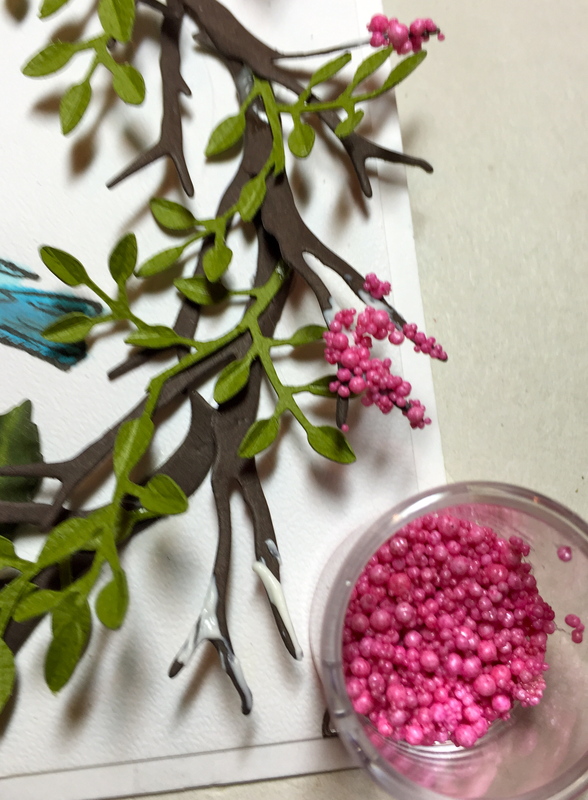 As a contrast, I used Prills (Hot Mama) to accentuate the ends of the branches while the petals were drying. 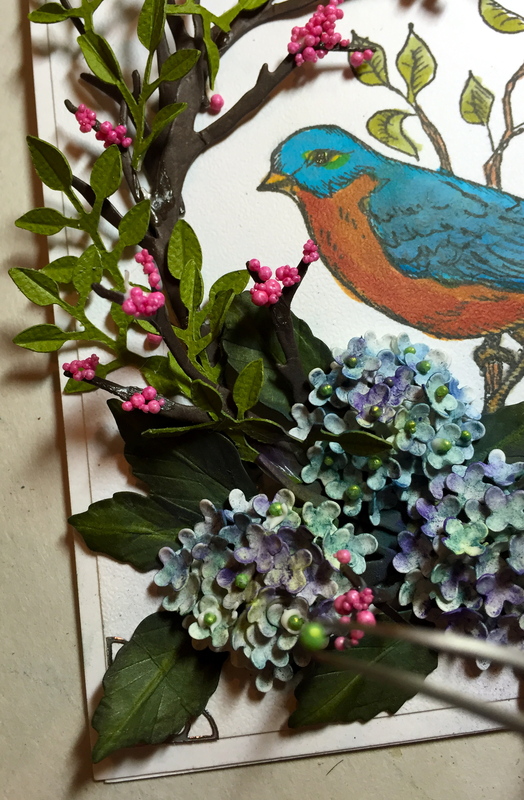 Shading the petals–I use a soft brush to “pounce” PanPastels on the ivory petals. 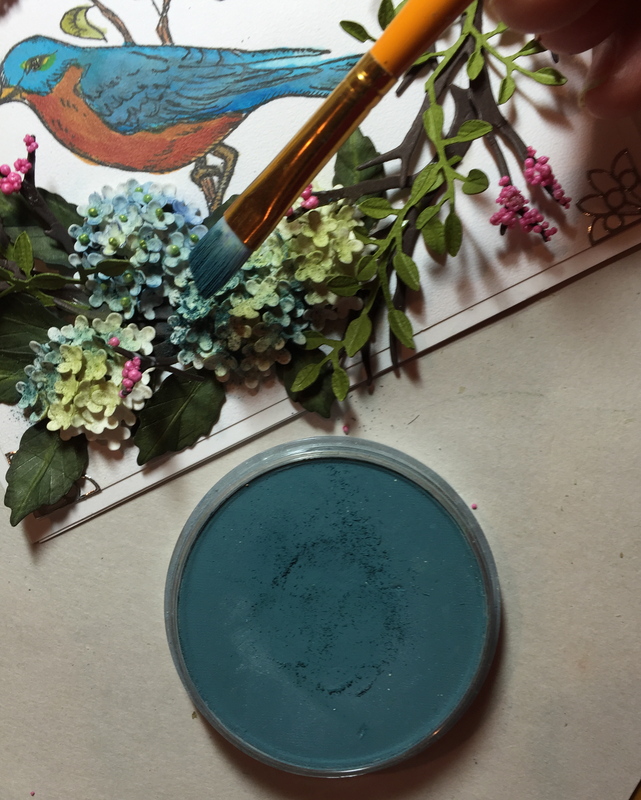 First, I used Bright Yellow Green Shade, then I followed with Turquoise Shade from Set 2. Lastly, I added Violet from Set 1. As a final detail, I place one Prill (Go Green) in the center of each petal. 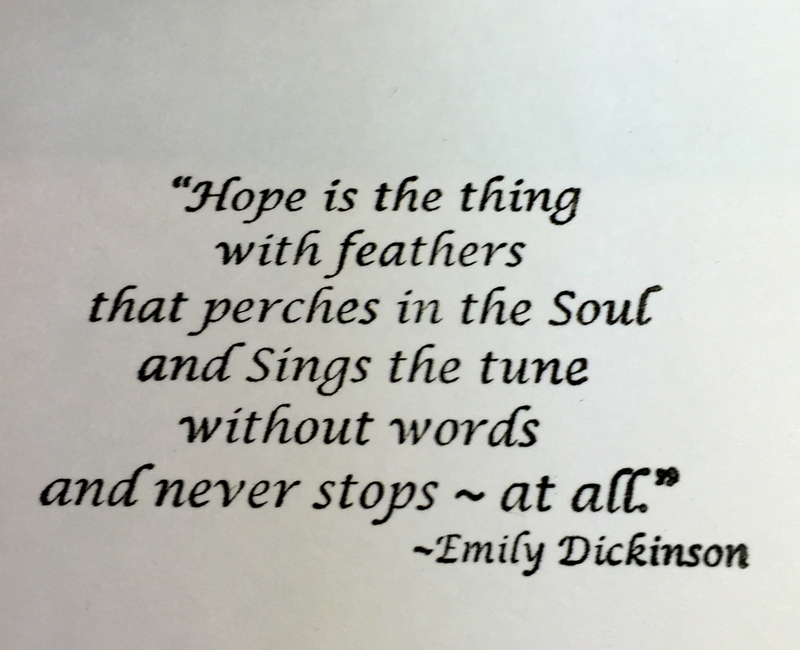 I added Peel-offs Border & Corners/Silver (#1034) and stamped the quote from Seeds of Thought on the inside of the card. So glad you started your blog Susan. Beautiful card! You’re right, dear Susan …”no family should ever have to feel this loss”.I am living with the same hope that will be found the solutions to eradicate cancer.My heart is next to yours. 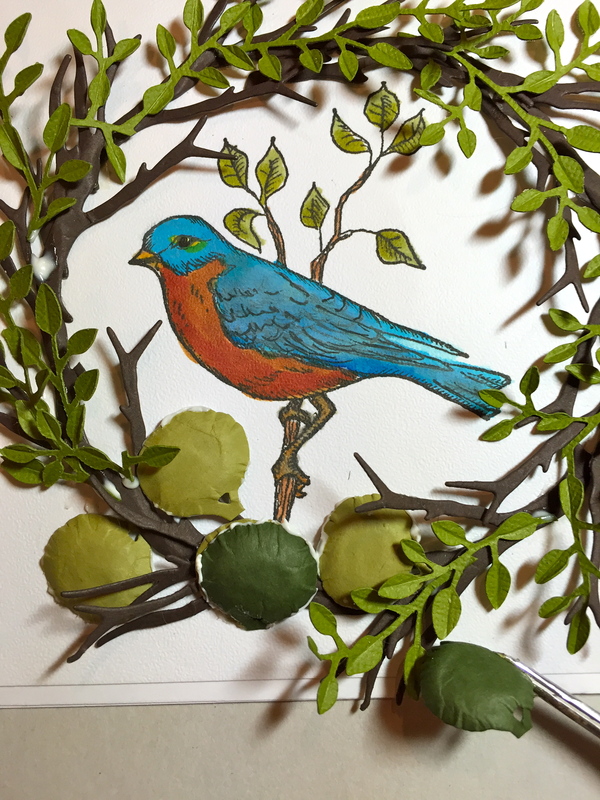 I am honored that the Bluebird stamp inspired you to create this beautiful card,especially that it is dedicated to the memory of your daughter Kelly. 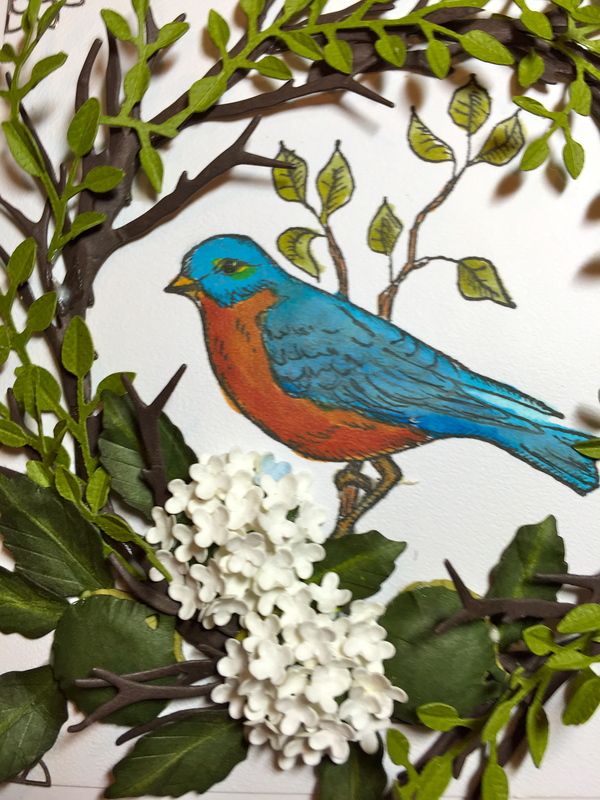 BlueBird symbolizes happiness.I believe that nothing is by chance.So all symbols bind together in our creations and souls, transmit certain messages … and we pass it on. Yay! I’m so happy to see you’ve started this lovely blog. 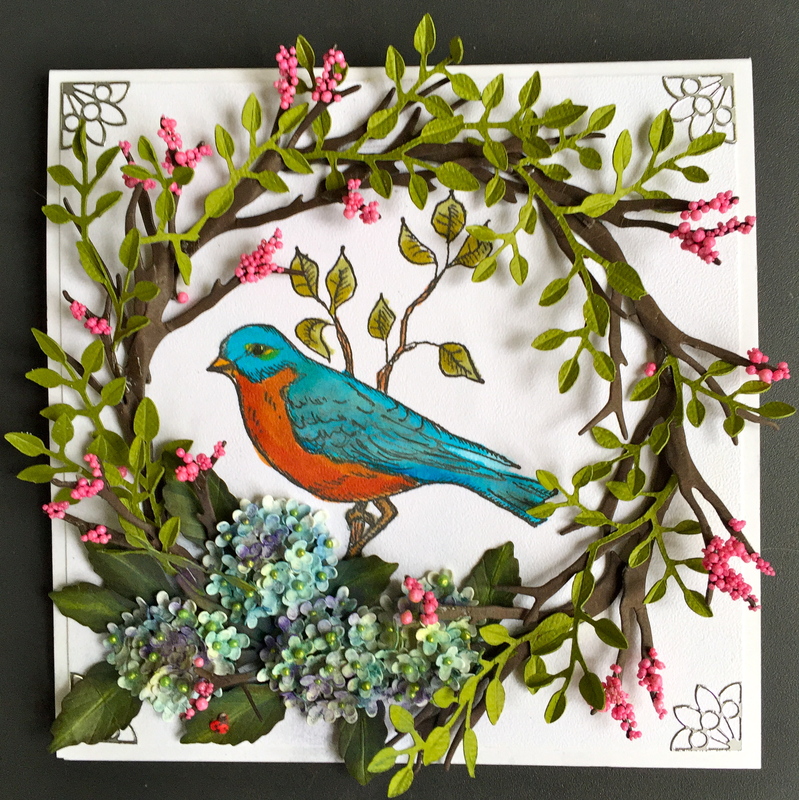 This card is beautiful and I love the step-by-step tutorial to create it. I’m a faithful follower and rely on your YouTube videos when working with your dies. Extremely helpful! Best of luck to you and your new blog. I am so excited about your new blog. Loved today’s post. Awesome! I agree that …”no family should ever have to feel this loss”… especially parents! You have my deepest sympathies. So sorry to hear Susan. I cannot imagine the pain. I hope all your fans can at least lighten the pain.